Helen Yurgalavich Obituary - Scranton, Pennsylvania | Solfanelli-Fiorillo Funeral Home Inc.
Helen Yurgalavich of North Scranton peacefully passed away Saturday at home. She was the widow of John Yurgalavich, who died November 27, 2010. At the time of his passing they were married 60 years. Born in Scranton, she was the daughter of the late Frank and Mary Wasilewski Condrat. Prior to her retirement, she was employed as a manager by the International Correspondence School. 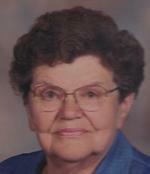 Helen was an accomplished quilter, and she was active in several civic and charitable organization. She was a people person, loved by all that knew her, she will be missed by all. She was a longtime devout, active member of St. Stanislaus Church until its closing. She was now a member of Mary, Mother of God Parish. Surviving are nieces and nephews, Michael Condrat and wife, Mariann; Thomas Mullen and wife, Phyllis; Gerry Natalini and husband, Ruddy; and Debra Condrat; great-nieces and great-nephews, Lindsay Condrat; Andrew Condrat and wife, Michelle; Kristen McGrow and husband, Matthew; several great-great-nieces and great-great-nephews. She was also preceded in death by a brother, Edward Condrat; a sister, Rose Mullen; and a nephew, James Condrat. The funeral will be Thursday from the Solfanelli-Fiorillo Funeral Home Inc., 1030 N. Main Ave., with Mass of Christian Burial at 10 a.m. in Mary, Mother of God Parish at Holy Rosary Church, 316 William St. Interment will be at Sacred Heart Cemetery. Family and friends may call Thursday, 8:30 to 9:30 a.m. at the funeral home. In lieu of flowers, memorial contributions may be made to St. Jude Children’s Hospital, 262 Danny Thomas Place, Memphis, TN 38105.